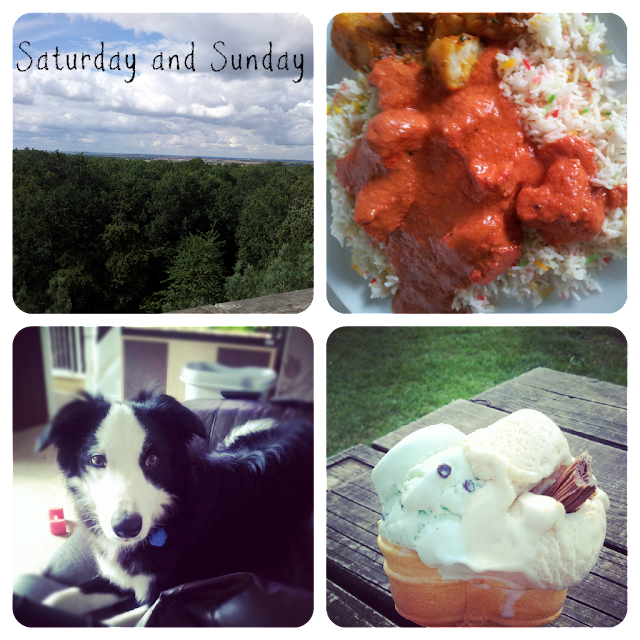 Another week has flown by with some quite varied weather. 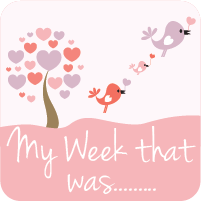 We still had a lovely week, and quite a quiet one compared to usual. 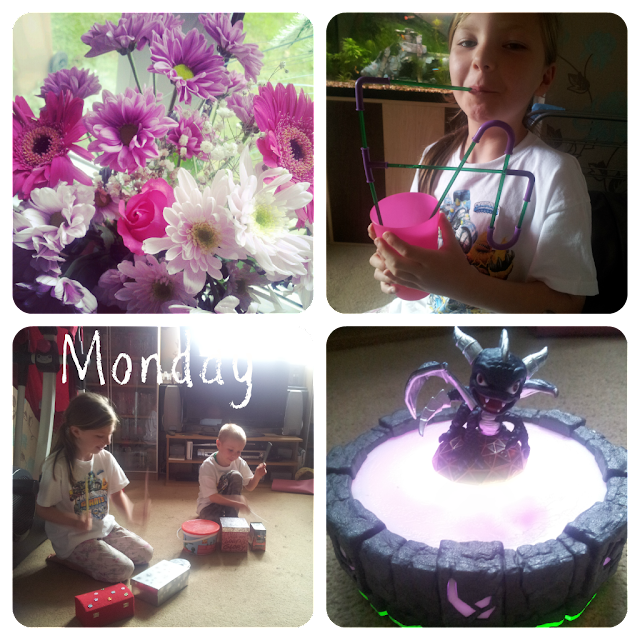 Monday we were recovering from a long day at Lollibop so we had a nice chilled day at home. In the morning a friend popped round with a card and flowers for me which was a lovely surprise and in the afternoon the Mini Mes decided to put on a music show and test out some freebies that they received from the festival. In the evening we went to my Grans for our usual weekly catch up and lots of ice cream and treats on the patio. Tuesday we went to another craft event at the library for the movie Brave. The Mini Mes got to make arrow bookmarks, crowns and then play archery. Wednesday we had a day at home baking. We made triple chocolate brownies and coffee and walnut cupcakes. In the afternoon the Mini Mes went to their dad's house for the night so the Mr and I had a chilled evening in. 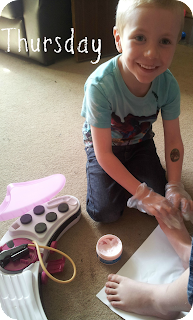 Thursday the weather was a little disappointing yet again so the Mini Mes played beauticians and spent a long while pampering each others feet, giving massages and painting toe nails. 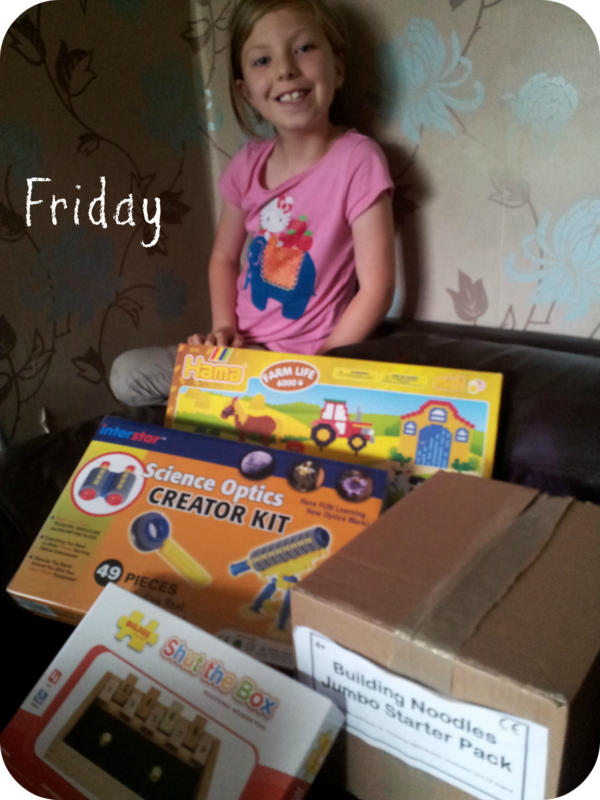 Friday morning I had to wait in for three deliveries but afterwards we went to see The Lorax at the cinema. Saturday I woke up in domestic goddess mode and spent the majority of the day clearing out drawers and boxes and sorting out old toys, books and clothes. In the evening the Mr treated us all to a delicious Indian takeaway. Sunday we went to see Brave at the cinema followed by lunch out. In the afternoon we went for a walk in a nearby forest and for ice creams and once home the Mr went out on his CBR for a while while I cooked roast lamb for dinner - yum! i can see your love of the movies even more now !!! i hope you all enjoyed the films you went to see. 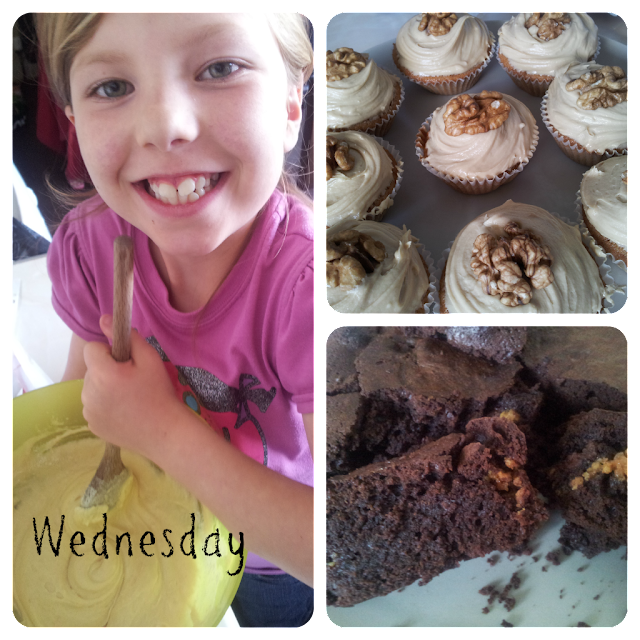 your children have such gorgeous beaming smiles and those cakes look great as does the food from Sundays photos :) mmmm!! !